Despite recent setbacks in testing, self-driving cars are expected to make roads safer for pedestrians and cyclists. Autonomous cars have been on a long, continuous march toward becoming a part of daily life for over a decade. They seemed poised to take their place as built-in chauffeurs, shuttling people everywhere they wanted or needed to go. That trajectory was thrown off course in March of 2018, in Tempe, Arizona, when a pedestrian was struck and killed by a self-driving car being tested by Uber. It was believed to have been the first fatality in any autonomous car testing program. Uber suddenly halted all testing of its self-driving cars due to the incident. 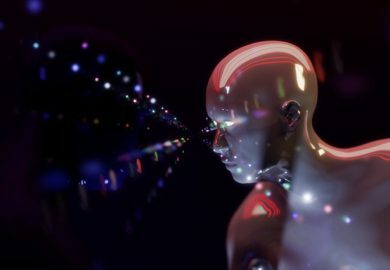 The ascendancy of autonomous cars may be stalled, but given the vast potential that lies in replacing human drivers with artificial intelligence, self-driving cars are almost certain to become a ubiquitous feature of the lives of most people. It will also mean more safety not just for passengers but also for pedestrians and cyclists as well. A vehicle driven by a human does behave differently than an autonomous vehicle, however. This fact means that pedestrians and cyclists will have to learn to adjust and adapt their own behavior to autonomous vehicles. When a pedestrian is thinking about crossing a road, he or she tries to get across the road as quickly as possible to avoid being hit while doing so. If the opportunity to cross without being hit doesn’t present itself, waiting is the only option until the wait gets excessive enough to make the pedestrian consider another way across. Some pedestrians are more aggressive than others and may challenge cars to see if they will yield to them. Whether human drivers yield is dependent upon social norms, but whether autonomous cars yield is dependent upon programming and learned behavior. 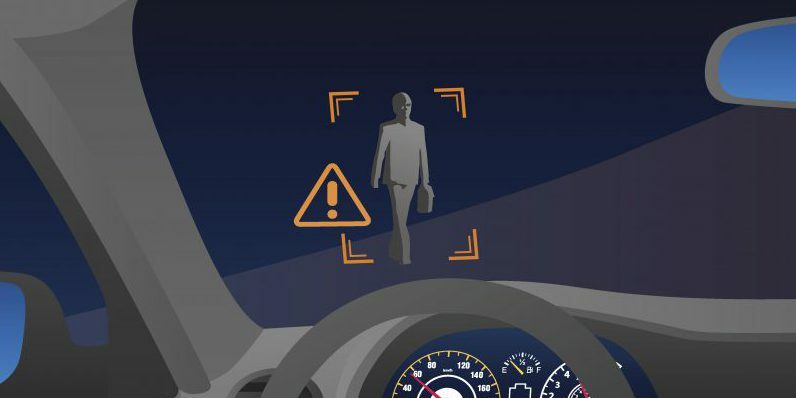 Whatever they are programmed to do, it is a safe bet that they will be programmed to do the legal thing–that is, avoid any liability issues by avoiding contact with pedestrians. 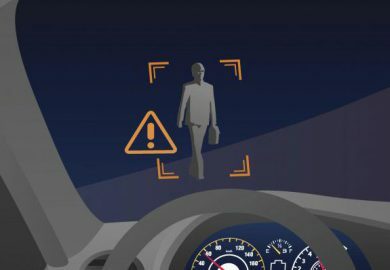 Professor and author Adam Millard-Ball has identified through his research that given autonomous cars’ penchant for following the law, it is likely that pedestrians will cross the road whenever they want, trusting that the autonomous car will yield to them. Millard-Ball suggests that cyclists will be more confident to change lanes in front of autonomous cars. Millard-Ball also identifies three possible models for future human-car interactions on roads. One model predicts that urban areas could become denser because walking will become more convenient than driving. This is because pedestrians will be able to take advantage of cars by simply getting in their way, causing the cars to yield every time. Another model calls for the separation of cars from pedestrians. Pedestrians’ impunity to cross the road whenever they want will be met with regulations keeping them away from cars. A third model sees self-driving cars not being worth all the benefits because of the slower travel times, giving human-driven cars an advantage. Human drivers, when faced with cyclists and pedestrians, can communicate back and forth using hand signals and other nonverbal forms of communication. Autonomous cars will need some way to communicate with pedestrians and cyclists that the vehicle has yielded to. While self-driving cars may have no need for traffic lights, the human drivers, pedestrians, and cyclists who have a stake in the traffic at those lights will. Self-driving cars will need some way to communicate to the outside world, and to the humans around, what it is doing so that trust can be established, not just for that one encounter but for all future encounters. Uber recently filed a patent application for flashing signs that would surround their cars: flashing arrows on the side-view mirrors, a projection of a crosswalk in front of the car, and a “virtual driver” who would appear in the windshield and direct pedestrians in crossing the path of the car. 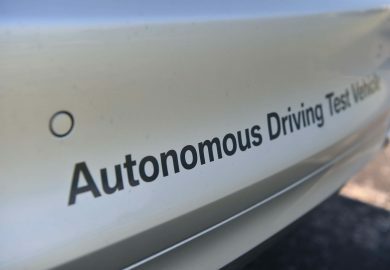 Visual outputs would also appear on the side of the vehicles: flashing arrows and a “changing lanes” sign to alert other vehicles that the self-driving car is changing lanes. Other companies in the self-driving car industry are working on similar technology. Google has a patent for “walk” and “don’t walk” signs that light up on the car’s body, displays, and audible signals. Drive.ai is developing LED signs that communicate with the world outside the vehicle using text and pictures similar to emojis and is also working on an improved version of its auditory feedback system. In 2015, there was a crash-related pedestrian death every 1.6 hours. Cyclists face a higher risk of crash-related injury and death than car occupants. 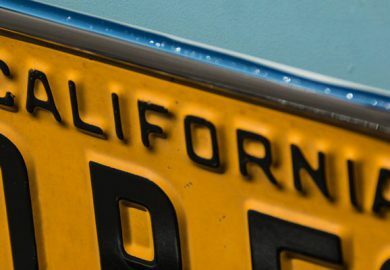 A great deal of attention has been drawn to the fatality in Arizona, and autonomous cars may yet have much to learn about dealing with humans on the road. Considering the dangers that pedestrians and cyclists face on the road each day, though, there is much room for improvement.